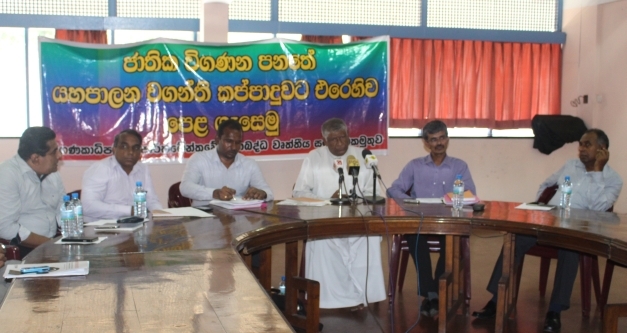 Transparency International Sri Lanka put their weight behind the Combined Trade Union Alliance of the Auditor General’s Department to strengthen their struggle to have the National Audit Bill passed by Parliament without amendments as it was long overdue. After a lengthy process running in to 14 years a committee led by the Auditor General, and assisted by several experts and the Attorney General, completed the final draft. The Audit Bill which will strengthen the Parliament’s authority over the use of public funds was a promise made during the last year’s parliamentary elections. It was due to be tabled in Parliament in March 2015. But many issues and circumstances have led to delay the process and now it was learned that Bill has been diluted further undermining the independence of the Auditor General. TISL joined the Trade Union Alliance of the Auditor General’s Department along with other Civil Society Organaisations to show its displeasure against the weakening of the Bill. All CSO’s believe it is imperative to have the National Audit Bill passed by parliament soon. While, addressing a news conference they warned that if the bill was not passed billions of rupees that should come to the government coffers would be stashed away by rogues. The independence of the Auditor General would also be circumscribed. They further said that there was no guarantee and an amended bill being passed in parliament would serve no purpose. It was revealed that more than 20 paragraphs were deleted from the original Audit Bill and incumbent government deliberately delaying the presenting the bill to parliament.